Roboworm s Straight Tail Worm is a terrific finesse bait when tough, crowded conditions are present. Super sensitive, these baits give a ton of action with the slightest movement. Straight Tail worms incorporate Robo s Salt Release System- which makes them heavier when you start fishing, and lets you know when the salt is running out and it s time to change worms. The Salt release system also gives a burst of salt when a fish strikes- which makes them hold on longer-for a better hook up. Roboworms are the most consistant poured baits on the market. Roboworm plastics utilize the Salt Release System- You know when the salt has left the lure. The Classic Finesse bait made popular by West Coast Pro's. The world's best running hardbait, hand-tuned and tank-tested at the factory. 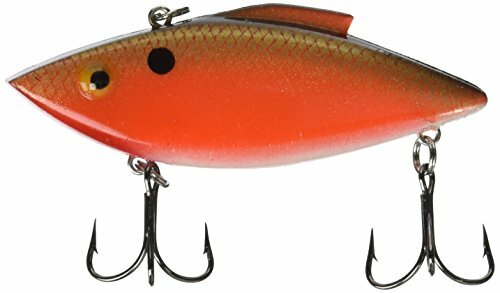 The Shad Rap closely resembles many baitfish throughout the world with one exception, the legendary wounded minnow action of Rapala lures. Excellent for casting or trolling, the Shad Rap is designed to be fished at ultra slow speeds to super fast speeds. 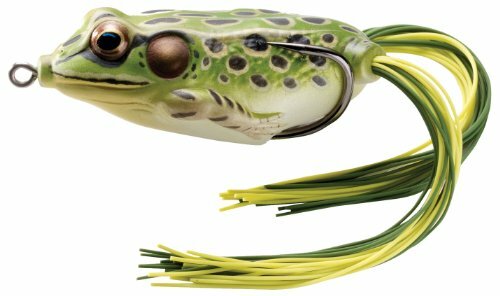 Bill Lewis legendary invention, the Rat-L-Trap, is recognized as the most popular, and consequently, the most imitated lure over the past 35 years. But imitation doesn t mean duplication. Just ask any of the Who s Who of top name Pros that used Rat-L-Trap imitations while competing against Boyd Duckett at the 2007 BASSMASTER CLASSIC. Boyd wasn t paid to fish with the original Rat-L-Trap, he made that decision himself and BOY OH BOYD was it the right one! The fact is that while dozens of lure companies have spent the last 30 years trying to make a lure as good as the Rat-L-Trap, we ve been making the Rat-L-Trap better and better. Today s Rat-L-Trap is proven by leading experts to produce sound qualities nearly identical to those of schooling baitfish under attack. These sounds are the Dinner Bell for predator fish. This is Mepps most popular 6-lure trout kit. It is designed for the trout fisherman who prefers fishing spinners and spoons with a plain treble hook. These lures will allow the trout angler to fish any water, from fast water streams to clear mountain lakes. 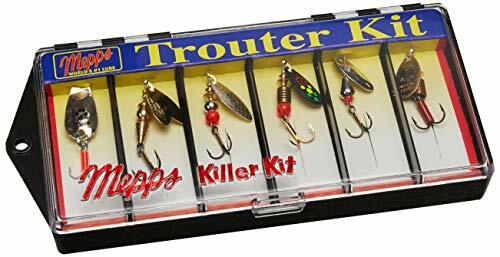 It is perfect for brookies, browns, rainbow trout and grayling and is ideal for the hiker or backpacker who needs a good selection of proven trout lures in one handy kit. Even if you've never thrown a cast net before, the Goture Cast Net makes capturing your own live bait both easy and fun-and will pay for itself many times over in cost savings. This net series is designed especially for novice throwers. 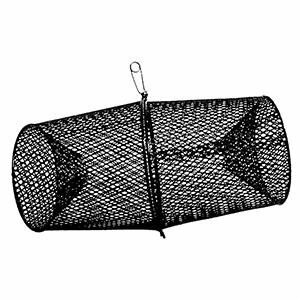 At one pound per radius foot, the nets are easy to throw for distance and accuracy, yet sink quickly to ensure a good haul. Its high-floating 32' braided poly hand line provides the range needed in most situations; heavy-duty triple-tied system for durability. The Goture Cast Net features 3/8" monofilament netting, ideal for trapping a wide variety of bait sizes. Whether you are a novice or seasoned veteran, this premium easy-to-use cast net practically opens itself on every throw so even new anglers can cast nets like a pro. 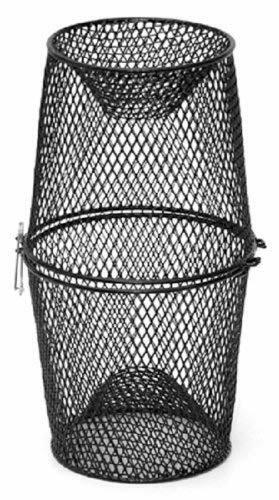 4' Radius - 3/8'' Mesh or 6' Radius - 3/8'' Mesh available. 32' long floating braided poly hand line, secured with a commercial-grade 2'' anodized swivel. Handmade. Copolymer monofilament mesh. 3/8'' mesh accommodates most bait species. Make capturing live bait easy and fun. Provides significant savings in bait cost. Feels softer, throws easier, and lies flatter. Capture bait in deeper water or current. Taped border with 3/4 lb. of weight per radius foot. Provides quick sink and a tight bottom seal to prevent bait escape. Strong, secure closure on retrieval. Includes throwing aid belt and illustrated instructions. All the attributes to catch big game fish such as Largemouth Bass and Northern Pike: anatomy, detailed color, custom double hook. Weedless design for thick slop. Soft plastic. High hook-up ratios. Easy to walk. ICAST "Best of Show" winner 2010. 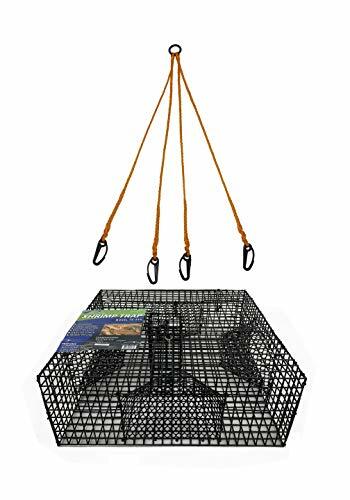 Catch your own crawfish with the South Bend Wire Crawfish Trap. Corrosion resistant. Easy bait removal. It all started with a lightweight lure no one knew how to use, with a name no one knew how to pronounce. The back room of a south Minneapolis bait-and-tackle shop. A beat-up metal desk. And lots of enthusiasm. What began as a simple dream in 1959 has evolved into one of the fishing tackle industries most influential organizations. Based in Minnetonka, Minnesota, with companies in 12 countries and distribution in more than 130 countries, the Rapala-Normark Group is the largest fishing lure company in the world. The world?s number one saltwater hard bodied lure. Producer of three world records in 1991 (wahoo, snook and tarpon), the Magnum is internationally renowned in saltwater sport fishing. Whether fishing the shallow-runner floater or the sinking countdown model, you can be sure that the tank-tested action will run true. 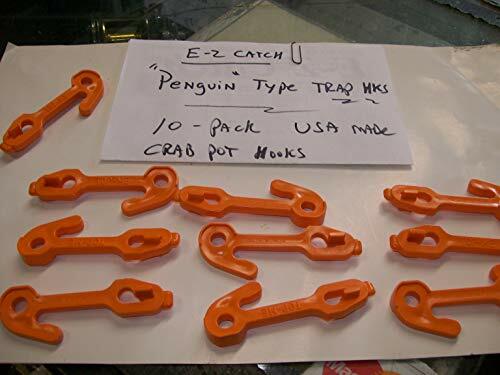 This is vital not only for catching fish, but also to prevent line fouling when trolling. 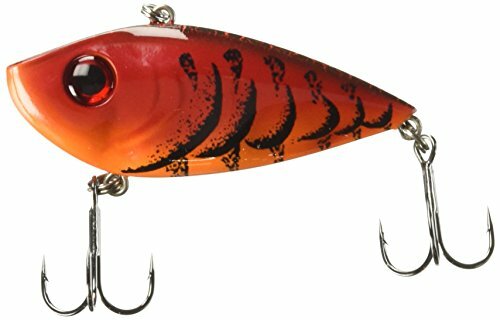 Simply put, the Rapala Magnum sets the world standard for saltwater hard baits. Magnums not only catch virtually every saltwater game fish, they are deadly on freshwater species such as northern pike, striped bass and muskie. Colors: Silver, Silver Mackerel, Green Mackerel/Gold, Red Head, FireTiger, Purple Mackerel, Mullet Dorado, Pearl Orange, Sardine. Mullet, Sardine and Dorado colors not available in 9" or 10-1/2" Countdown Sinking Magnums. 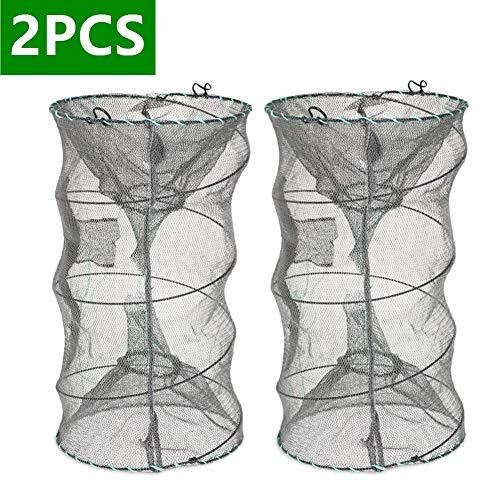 WIDELY USE:With 2PCS portable automatic telescopic shrimp crab traps,it is convenient and simple, no need to install, easy to use. HOW TO USE Open the trap then put baits into bait pouch.Just to wait the fish, shrimp, crabs and other aquatic organisms swim through the front and rear of mouths into the cage, that the prey can not come out again. 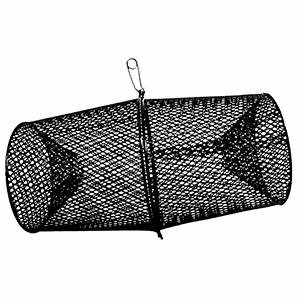 SUPERIOR MATERIAL:Made of Double layer nylon mesh & durable steel wire support,make the crab net durable and lightweight. Size:Diagonal:12.6''x12.6''/32x32cm; height (stretched): 20.1''/53cm;Please feel free to contact us for more suggestion and opinions, your satisfication is our motivation of improving. Made from 0.16" high-quality steel wire and thickened polyethylene mesh for better catchingperformance and durability, the simple design is the perfect gift for casualanglers. 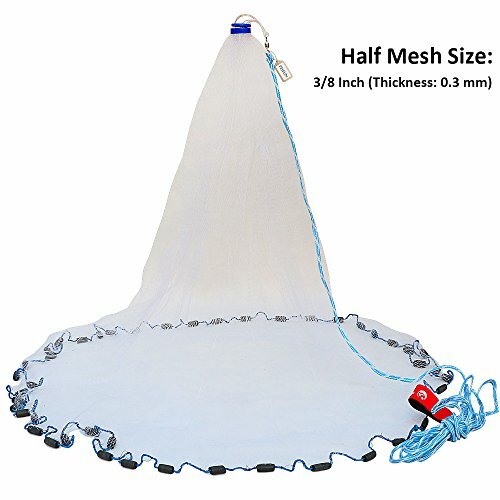 Simply place the bait in the bait bag, thenhang the bait bag into the middle of the net. place the cage in the water, andwait for the prey to enter the cage from both sides of the entrance. * The actual color may vary slightly fromthe online image due to monitor color settings. 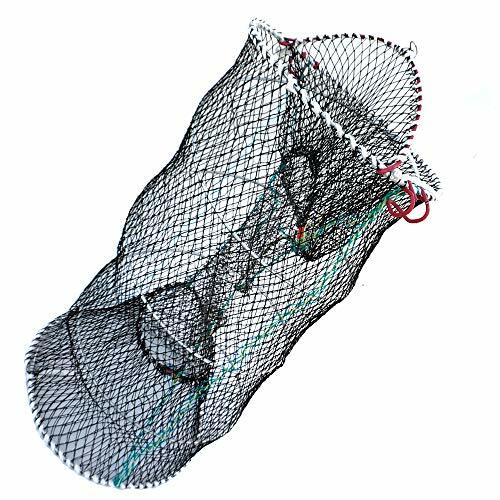 *Please put the fishing net in theventilation place to dry up and then folded up, in order to make it moredurable. EASY TO CARRY: Size: 11.8 x 23.6 (30cm x 60cm), foldable design, easy to carry up without taking up space. It is the first choice for most outdoor recreational fishing. 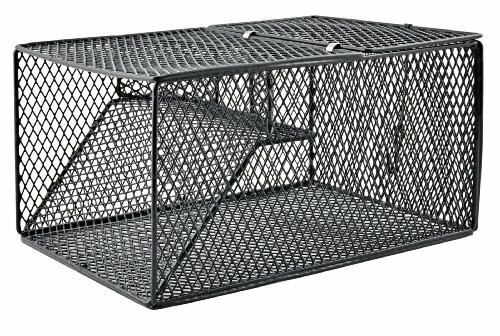 Promar traditional heavy-duty coated steel wire shrimp trap. Comes with 4 customizable entrance tunnels, built-in steel bait box and 2 way harness. 1" X 1" mesh (7/8" X 7/8" inside). Measures 24" x 24" x 9". Comes outfitted with the Promar NE-104, 4 arm harness. Check your local and state regulations for season and gear restrictions. - Secure your baited fishhook by locking not clipping it. Release your fishhook when impact with water. - A universial fishhook removal system It works quite well with pulley rigs and large baits. - Allows you to fish a long trace off the ground or with slack hook line. - Portable and simple design. Easy to take and operate. - Quality product with premium plastic material and design. Secure your baited fishhook by locking not clipping it. Release your fishhook when impact with water. A universial fishhook removal system It works quite well with pulley rigs and large baits. Allows you to fish a long trace off the ground or with slack hook line. Portable and simple design. Easy to take and operate. Quality product with premium plastic material and design. satisfy your child's curiosity, increase the joy of harvest, and enjoy fresh delicacies. and recreational fishermen to catch fish,crabs.shrimp,crawfish or lobster. Material: high-quality steel wire and thickened polyethylene mesh. * Please release prey that is pregnant or young or unnecessary. up, in order to make it more durable. ADD FUN--It's a nice outdoor equipment that adds fun to fishing,camping, picnics, barbecues and other outdoor activities in seaside, lakeside. It can satisfy your child's curiosity, increase the joy of harvest, and enjoy fresh delicacies. 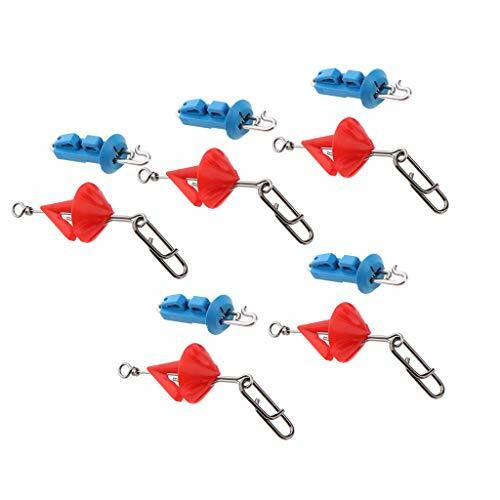 ADVANTAGE--The special openable design,As long as open the fastener,and the captured prey can be directly poured out.Prevent from being injured by the prey. 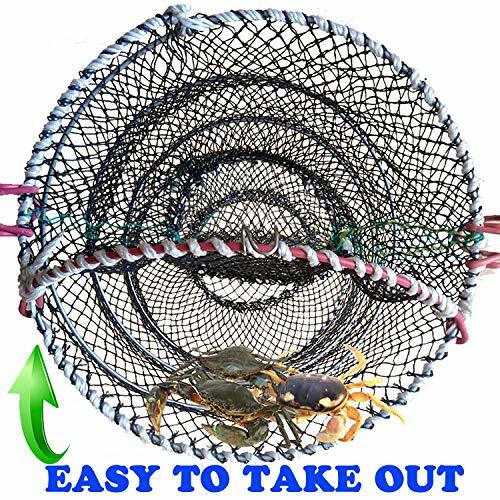 COMPLETE EQUIPMENT--Just buy this product and bring bait,such as meat,fish,insects,bread and so on.You can catch crabs,fish,lobsters,shrimps,crawfish,crawdad and other prey. CONVENIENT--A gift backpack can hold all the accessories together. Easy to carry.The crab cages are foldable and durable.It dried quickly when it was aired on the spot.